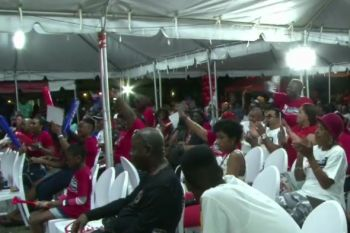 This was a charge made last night January 12, 2019, when the NDP staged their first public rally as they launched their 2019 campaign spree. The rally was held at the Road Town Market Square, with a sizable number of supporters turning out. 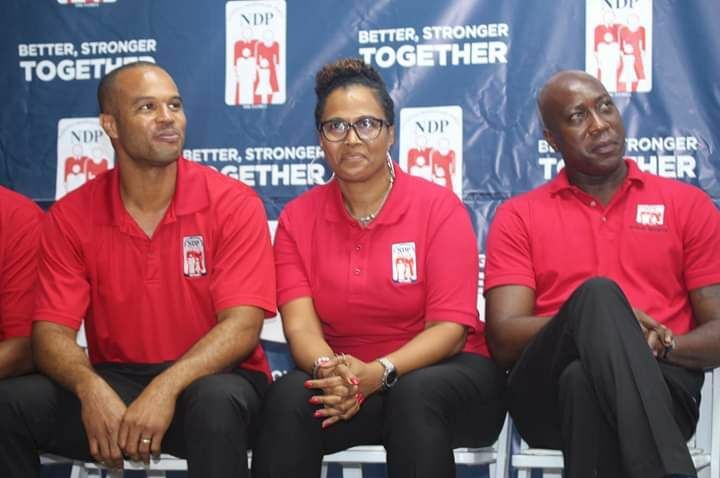 Confident that they have the majority support of voters on their side, the NDP leader expressed serious concerns that the constant talk of corruption in the VI Government, has the potentials to do serious harm. 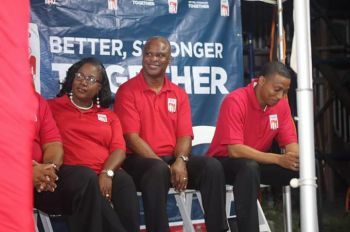 In turning a direct attack on Chairman of the Progressive Virgin Islands Movement (PVIM) Honourable Ronnie W. Skelton (AL), the NDP Chairman recalled a recent radio message saying, “somebody who was with us before taking credit for some things. He said, based on talks with persons, it’s being said that the race for the majority seats in upcoming General Election is between two parties, NDP and VIP. Within the past eight years, there have however been multiple reports of corruption against the current NDP Government. 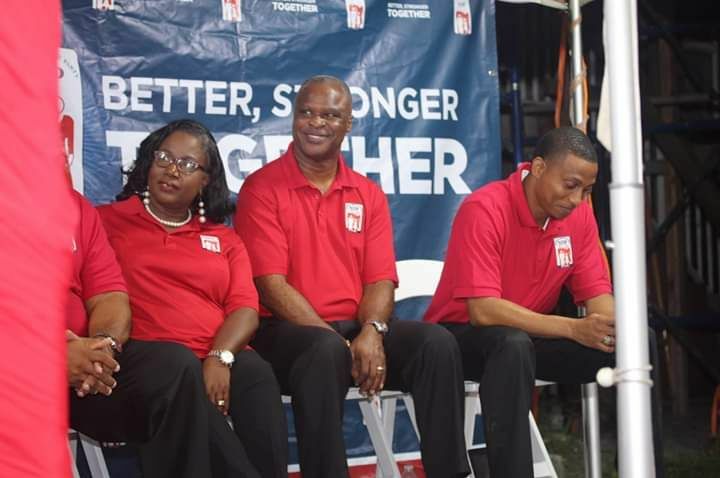 These include the Ports Development Project called the Tortola Pier Park (TPP) which was constructed with a $40M dollar cost overrun and the construction of a wall around the Elmore Stoutt High School with a price tag of some $1.6M. 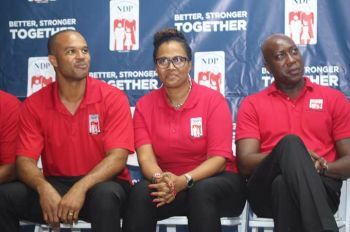 Other officials, including the House of Assembly’s (HoA) Public Accounts Committee, the Auditor General and a TPP Project Manager, Huge E. Darley have also blatantly accused the NDP administration of corruption, mismanagement of government funds, conflict of interests and reckless spending. It was also in 2017 when former Governor John S. Duncan, OBE, pointedly referred to the NDP government as corrupt with no priorities in its spending. He said too, the administration had failed in its promise to bring the people a Consumer Protection Bill. Additionally, former Opposition Leader Hon. Andrew A. Fahie (R1) said he was vindicated in calling the current NDP administration the most corrupt in the history of the VI as was evidenced in answers provided to the HoA over the years by the NDP Government. Tell pvim supporters (NSIG) Not So It Go. The harm has already done. With you as a sitting minister facing possible criminal investigations for an over priced wall around a high school, with 7.2 million dollars gone from our treasury to an alleged airline operatives, with over $40 million overspent on a Pier Park, with no proper accountability for $16 barrowed from Social Security for road reconstruction, Millons spent on consultancies for airport development and many many more under your “spotless” party, the damage of corruption already tarnished this territory. Who to blame? Blame no one else but the NDP. 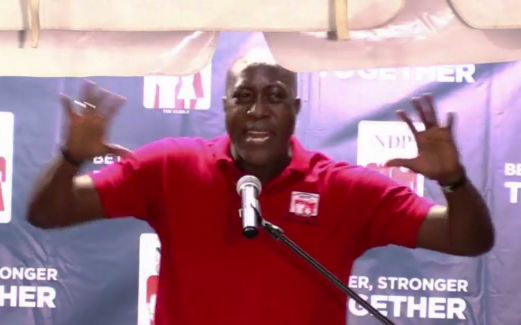 You guys really think people are fools to go to the polls and vote you guys back in power, talking about new NDP, nothing new here Myron, absolutely nothing new. I pray that the people will do the right thing and get rid of all of you. This Johnny come lately is dangerous to this country. Don’t feel no comfort Walwyn in the number of the people that was out. We were out looking news. You and Mark going down. NdP will dominate once again; check vg tuesdsy night! Amen to the above post. Maybe because he has done more in VG as a district rep in 4 years than Uncle Ralph being the premier and minister of finance did in decades. I dare you to disagree! Go sit down! You guys are corrupted. Everyone knows that. Coalition government 2019. The bribes started on the campaign trail last Friday as you and your running mate were about town ’and if you don't know, now you know’. No one should suffer under a government when you have health and a brain. We were born alone with our mother and god said by the sweat of your brow you eat bed. While your supporters may want to hear this most of us out here havie bigger issues for the country that needs addressing. This style shows exactly the type of leader you are which is exactly what this country does not need right now nor never. This guy just won't shut his mouth the more you talk u sink deeper in the pit of corruption. We donot want you running our country. Move from here wid your brain washing not fooling all ah we this time . Those that dislike this all are one the same. Move up!!! "Within the past eight years, there have however been multiple reports of corruption against the current NDP Government. Additionally, former Opposition Leader Hon. Andrew A. Fahie (R1) said he was vindicated in calling the current NDP administration the most corrupt in the history of the VI as was evidenced in answers provided to the HoA over the years by the NDP Government." Please, pkease, pkease. All who is reading this I'm begging, please DO NOT vote for the NDP. If you all think we are in trouble now if they get it we are all dead. what to you call the dental trade license that had to be recalled? In my free and conscious mind I cannot vote for this Government. Not this or any other time to come. NDP YOU WANT TO WIN. SIMPLE. TELL US: WHERE THE 7.2 MILLION REALLY GONE, WHO ARE THE REAL PARTNERS IN BI-WATER, HOW YOU ALL SPLIT UP THE $40 MILLION OVER-RUN AT PIER PARK - WHO GET HOW MUCH. HOW REALLY OWN THE BANK OF ASIA - BVI, EXPLAIN HOW YOU GOT US IN THIS FINANCIAL HOLE. REMOVE GRANT FROM BEING PORT AUTHORITY CHAIRMAN AND STILL HAVE HIM RUNNING FOR OFFICE. SHOW US YOUR PLAN ON FIXING THE MESS YOU ALL GOT US IN. TELL US THE TRUTH ON HOW YOU GIVE YOUR PEOPLE BIG CONTRACTS SO THEY CAN FEED YOUR CAMPAIGN EVERY 4 YEARS. TELL US ABOUT THE DENTIST LICENSE TO INSURANCE MAN. COME CLEAN ON ALL THIS AND WE WILL GIVE CONSIDERATION TO PUTTING ONE OR TWO BACK IN. WE WAITING! Just because you say it’s not proven doesn’t mean it didn’t happen. You should be smart enough to know that. Apparently you aren’t.